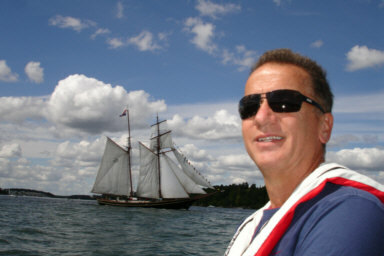 Dan Raymer is President of the design and consulting company, Conceptual Research Corporation. 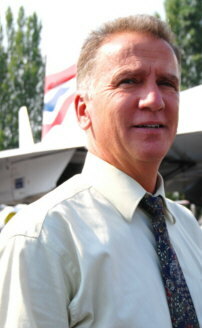 Recipient of the prestigious AIAA Aircraft Design Award, he is a recognized expert in the areas of Aerospace Vehicle Design and Configuration Layout, Computer-aided Design Methodologies and Design Education. 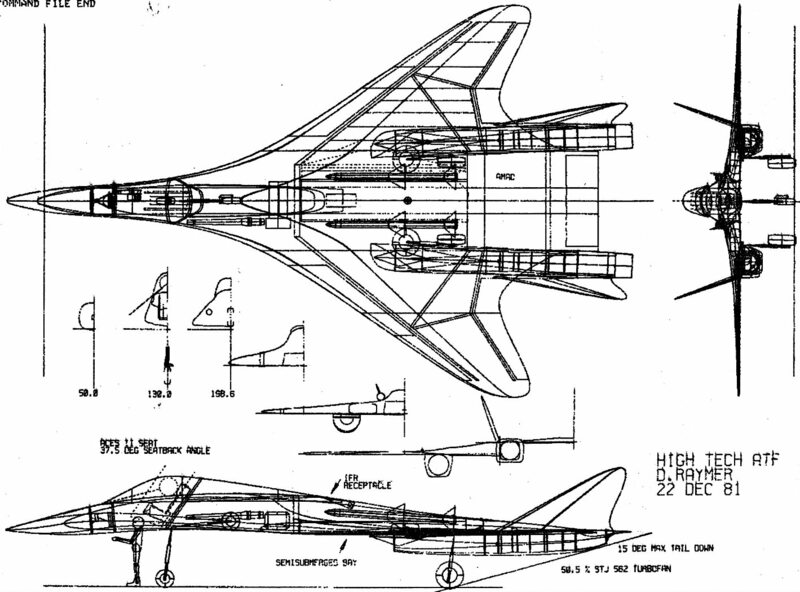 During his 10 years in the Advanced Design Department of Rockwell (North American Aviation) he conceived and did the layout design of Rockwell's entries in what became the F-22, B-2, and T-45 programs, and was Head of Air Vehicle Design for X-31 from "blank sheet of paper" (CAD screen) to the configuration that flew (with minor fabrication-driven changes). His industry career includes positions as Director-Advanced Design with Lockheed, Director-Future Missions at the Aerojet Propulsion Research Institute, and Project Manager-Engineering at Rockwell North American Aviation. He also served as a research engineer and aerospace design consultant at the famous RAND Corporation think tank. Dr. Raymer is the author of the best-selling textbook "Aircraft Design: A Conceptual Approach" and the well-regarded layman's book, "Dan Raymer's Simplified Aircraft Design for Homebuilders". His newest book, "Living In The Future: The Education and Adventures of an Advanced Aircraft Designer", covers his career and his design projects including most of those described below. Raymer has received both Rockwell Engineer of the Year and the AIAA Summerfield Book awards, and was recently made a Fellow of the American Institute of Aeronautics and Astronautics. Dr. Raymer received B.S. and M.S. engineering degrees in Astronautics and Aeronautics from Purdue, an MBA from the University of Southern California, and a Doctorate of Engineering (Ph.D.) from the Swedish Royal Institute of Technology (KTH). He is a recipient of the Purdue University Outstanding Aerospace Engineer Award which is given "to honor those alumni who have distinguished themselves in the aerospace industry". Dr. Raymer is listed in both Who's Who in America and Who's Who in Science and Engineering. Interview with Daniel Raymer about his career and his design book in AIAA Editorial Echoes. Founder and manager of an engineering design and consulting corporation focused upon aerospace and high-technology. CRC offers conceptual design and analysis services, confidential design reviews, methodology consulting, and engineering analysis as well as short courses and software related to aircraft conceptual design. Study and evaluation of future trends and options in aircraft advanced technology, and assessment of applicability and requirements for next generation aircraft. Identification and evaluation of emerging technologies, cost and risk tradeoff studies, notional system definition and evaluation, and technology maturation planning. 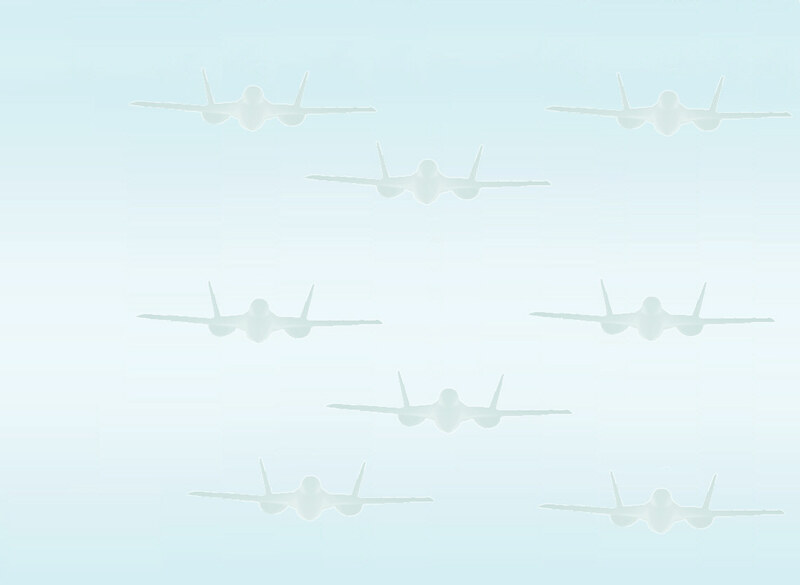 Led and/or participated in numerous studies of advanced fighters, UAV's, and other systems. RAND representative and team member, Joint Strike Fighter (JSF) Cost Commonality Working Group. Co-author of The Gray Threat, a widely-quoted RAND book that received a commendation letter from the USAF Chief of Staff for its insightful evaluation of emerging European fighters compared to US capabilities, current and future. Lecturer at the Full Professor level at California State University at Northridge, teaching aerospace engineering and aircraft design. Served as Faculty advisor to Senior Design Lab, guiding students in the design, construction, and flight-test of a 32-foot span unmanned high-altitude research aircraft. Led student lab projects to design and build a laser-sheet flow visualization wind tunnel, and a twin-cockpit fighter flight simulator. Directed aircraft design projects in fighter, STOVL, hypersonic, and other areas. Functionally managed two departments totaling about 50 engineers. Initiated new IRAD projects in Advanced Fighters (F-16 replacement), Supersonic STOVL (Harrier replacement), Computer-Aided Design, and Subsystems Methods, and won several new R&D contracts. Received company's highest USAF IRAD evaluations. Founded and managed an advanced design/analysis group chartered with defining and evaluating the most probable future aerospace vehicle developments and technologies. Led studies of novel system and propulsion concepts for high-speed aircraft, launch vehicles, and interplanetary vehicles including combined- cycle SCRAM jets, solar rockets, nuclear rockets, and even-more- exotic propulsion concepts. Responsible for management of numerous aircraft conceptual development programs. 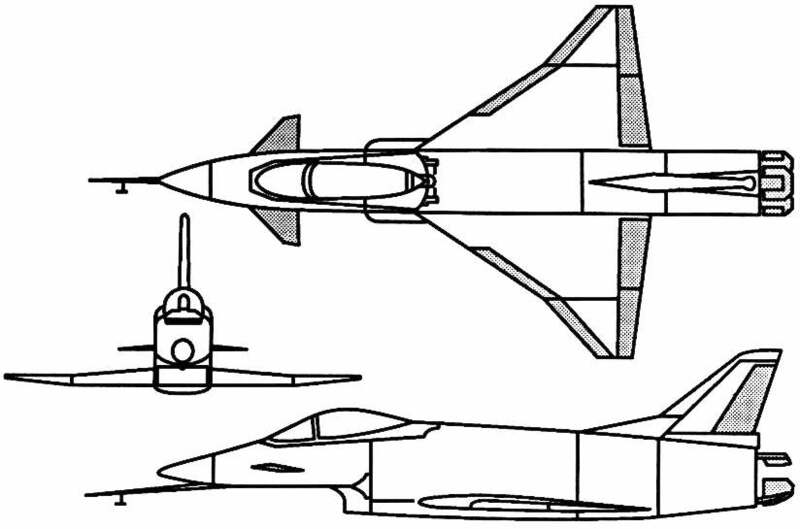 As Chief Engineer-Advanced Tactical Fighter, led a 77-man team which developed a then-novel blended-delta-wing/V-tail fighter concept based upon Raymer's initial conceptual design. 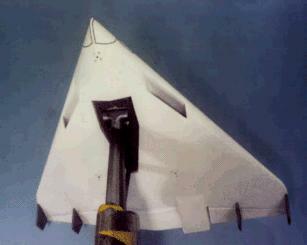 Extensive supersonic wind tunnel testing and detailed analysis proved that this design concept could supercruise without afterburning at over Mach 1.6, maneuver as well as an F-15, yet offered radar signatures significantly reduced from then-current fighters..
As Project Engineer-Vehicle Design for the X-31 Supermaneuver Demonstrator, Raymer led the conceptual design of the X-31 and took the X-31 from 'blank sheet of paper' to the overall configuration that flew. This included extensive studies of innovative low-cost prototyping approaches. Unfortunately, had left the company before the X-31 went into fabrication and flight test. 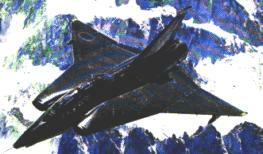 As Project Manager-Computer-Aided Configuration Design and Loft, led the development of the "Configuration Development System (CDS)", an all-new CAD system dedicated to aircraft conceptual layout. 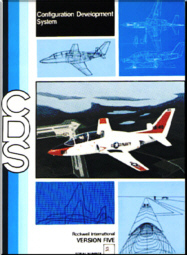 CDS (later called CDM), was used for the conceptual design of the B-1B and X-31 and for numerous advanced design studies at Rockwell, the USAF, Navy, Army, NASA, and others. Raymer received the company's highest USAF IRAD evaluations and was named Rockwell Engineer of the Year for this CAD system development. 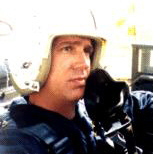 Trained and served as an aircraft configuration designer, and developed well over a hundred new design concepts for fighter, bomber, trainer, research, VTOL, cruise missile, and other aircraft types. Many of these designs progressed into significant projects including structural and systems design as well as wind tunnel and RCS testing. Raymer's designs were featured in numerous books and magazines as examples of "aircraft of the future" - even in the USSR. For the inside stories of these projects and more, read Dr. Raymer's biography "Living In The Future: The Education and Adventures of an Advanced Aircraft Designer". Aircraft Design. Aircraft conceptual design and evaluation (including fighters, bombers, trainers, transports, stealth, STOVL, & hypersonic), Aircraft Multidisciplinary Design Optimization (MDO), Aircraft modification design & analysis, Advanced technology integration & assessment, Requirements tradeoff studies. Computer-Aided Design. Development and use of CAD software, numerical design optimization, and graphics interfaces. Launch Vehicle and Advanced Spacecraft Concepts. Conceptual design and analysis of advanced spacecraft concepts including winged launch vehicles & exotic propulsion applications. San Fernando Valley Engineers' Council 1991 Engineering Merit Award. Editorial Board Member - Journal of Aerospace Sciences and Technologies, Aeronautical Society of India. Raymer, D., "Wind tunnel investigation of devices to reduce bus aerodynamic drag", 13th AIAA Annual Meeting paper 77-307, Jan. 1977. Technical Advice Screen Credit - "Future Flight " Television Special starring Christopher Reeve, Arnold Shapiro Productions , aired 1987. ...in the back seat of the Draken. Computers - Computer geek and a netsurfer.